Middle Schoolers have fun at their dance. 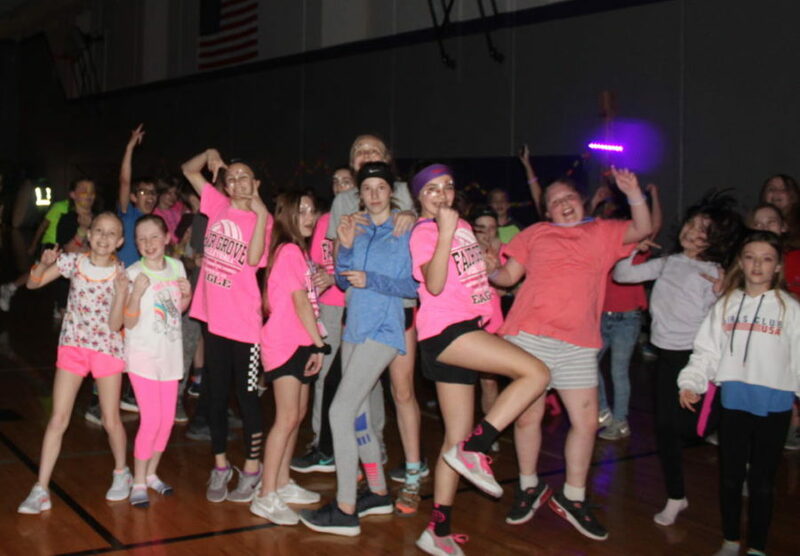 The middle school had their 5th and 6th grade bash as well as the 7th and 8th grade dance on the 22nd of March. The students involved in Characters Council came up with the themes being the Neon Spring Bash, and Starry Nights Spring Dance. They planned and set up these events with the help of the art club. They worked with the middle school art club for decorations and Mrs. Harmon handled the music. The bash had a lot of games with a DJ, pizza, soda, and prizes for participating in activities. The dance had a table for food and drink, a corner for socializing as well as a dance floor, with decorations to suit the theme of the night.